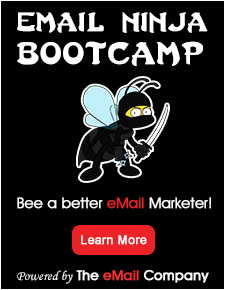 I often refer to email marketing as a war, one with many battles. And the only way to win the war is to win each battle. Get a name – The first battle you have to win is the battle to build your list. No list means no email marketing program. To win this battle I suggest an incentive. Give new subscribers something that they would not otherwise get. Get a delivery – The second battle is landing in the inbox, giving your email a chance of being read. Get spammed, or worse get lost, and the war is over. Make sure you are CAN-SPAM compliant, using a reputable email service, and make sure those people receiving the emails expect them. 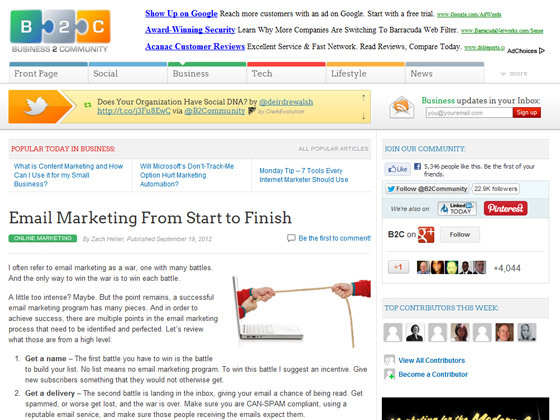 Get an open – The third battle is won by getting someone to click on your email and open it. Open rates vary widely from industry to industry, company to company, and between different types of emails. Your goal should be 100%, however unattainable that may be. How do you do this? Test your subject lines. Never stop testing them. The best subject lines will get the best open rates.